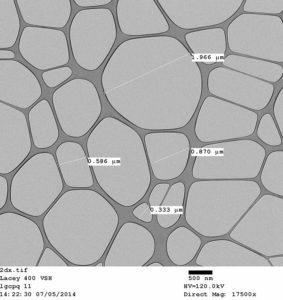 Lacey Carbon support films (LC range) provide a wide range of hole sizes and offer a cost effective solution where are a continuous film is not desirable. Lacey Carbon supports are stronger than Holey carbon supports and ideal for specimens requiring more rigorous pre-treatments. Our experience of developing methods over 30 years enables us to have greater control over the formation of the holes. If your application requires a particular hole size or you would prefer slightly thicker or thinner film then please tell us and we can modify future orders to your requirements. 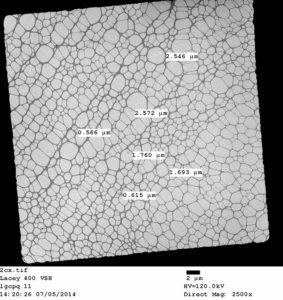 Also included in our range is a Lacey Formvar Carbon support film that retains a Lacey Formvar backing for additional strength. Available on Copper, Nickel and Gold grids with mesh sizes of 200,300 and 400. Other grid types, including Finder grids are available on request. We strive to keep fresh stock available for quick delivery. 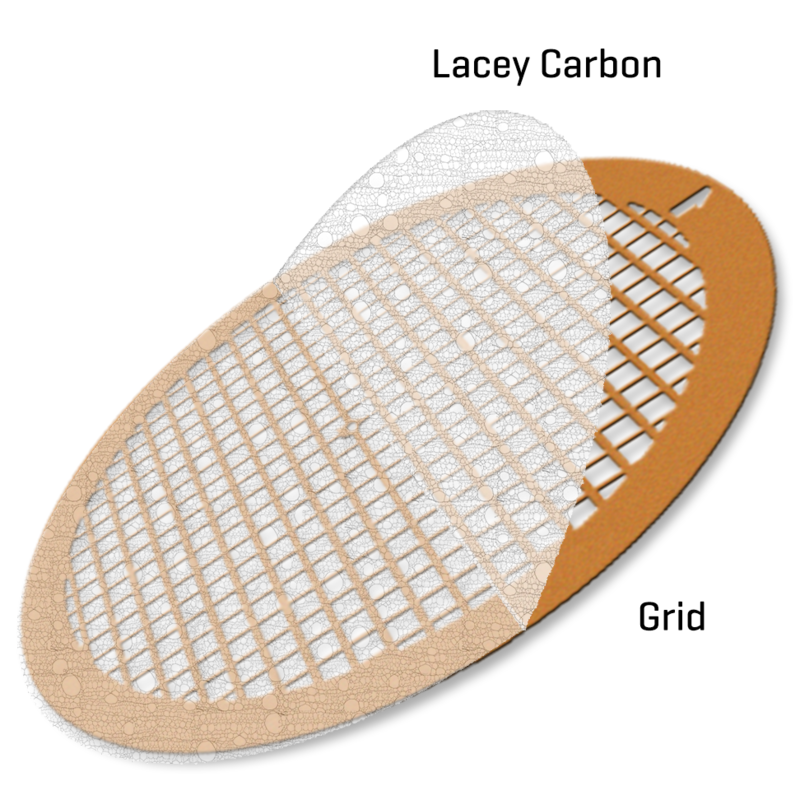 The hole size range of typical Lacey carbon support films.